Walks Orkney includes 40 walks graded from short strolls to long hikes. 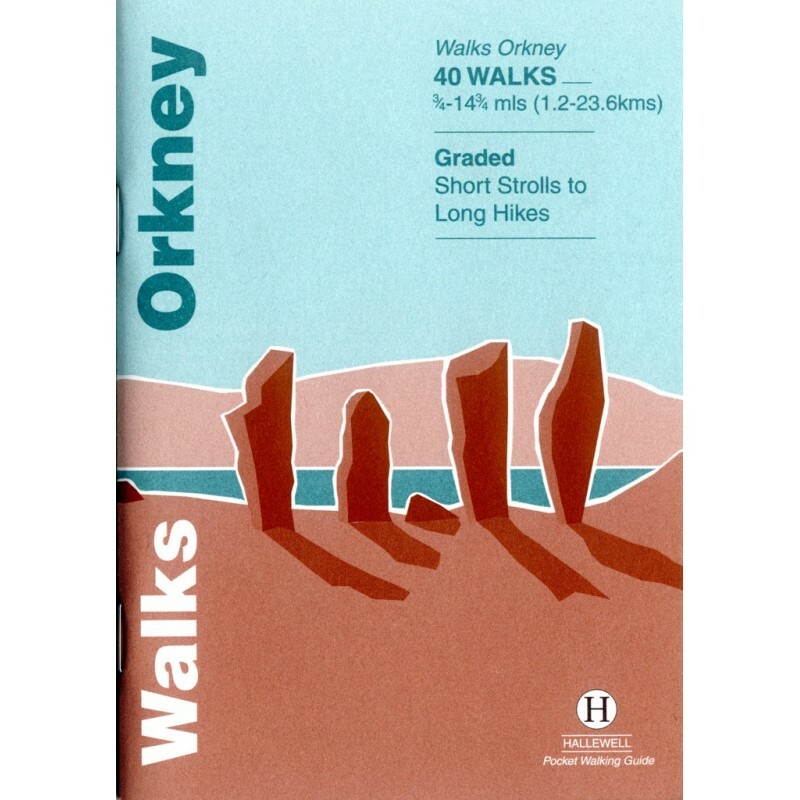 The purpose of this book is to bring under one cover, as compactly as possible, a selection of the best walks in Orkney. The walks include cliff-top and beach walks, as well as routes through farmland and hill climbs- though never out of sight of the sea. The guide contains routes on every island which can be reached by public transport. In length, the walks range from under a mile to nearly 15, from light strolls to strenuous hill climbs.